From the space our planet appears to be a tiny blue point surrounded by endless black of the Universe. This is quite funny since from the perspective of ourselves the situation is completely opposite. We see the magnitude, diversification of species and mystery still not leaving our home. However, the essential role with challenging the difficulties, here on our planet, plays the cosmic space. Today, the Earth is undergoing global changes. In order to react accurately we need to look for the solutions collectively and to be frank, we know how to do it in Europe. Since Europeans cooperate efficiently from the end of the II WW, they know how to change the idea into reality. The collaboration in the area of politics, economy or even environment does not surprise at all, but the investigation of cosmic space – not necessarily. One can ask why the cooperation in this field among European countries is the primary condition while the United States, Russia or China do it on their own initiative. Well… it’s all about the money. Since Europe is full of small states, separate financial capabilities are relatively limited. This is why, in 1975 the European Space Agency (ESA) was created bringing together at first ten European countries. Considered as an intergovernmental organization established for the implementation of a common European program of research and exploration of space in its tasks also include supporting development of a modern and competitive industry in all member states. The number of participant states increased significantly throughout years to reach 23 members this year (based on a separate agreement Canada is its participant as well). Since not every EU member state is affiliated, the ESA is not recognized as the European Union’s agency and still stands as an independent organization. 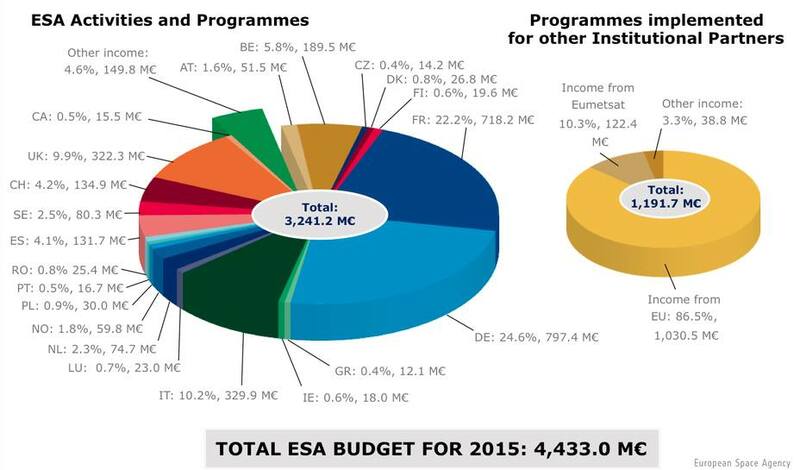 However, since 2004, pursuant to the Framework Agreement legal cooperation between these two organizations is tangible because for now, the EU is the largest donor to ESA’s budget. Mandatory programs: funded by contributions from the member states (their amount is proportional to the national income of individual countries). These programs include space exploration (the construction and use of the equipment for such research), scientific programs (physics of the solar system), astronomy and fundamental physics, technology research, educational programs, etc. Optional programs: financed only by countries committed to them. 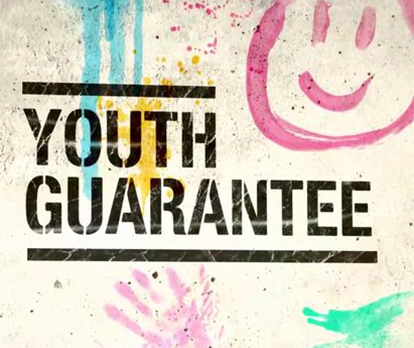 Participation of respective countries is determined by negotiations conducted separately for each program. The scope of such operations is not precisely specified. They include inter alia the construction of a European rocket, robotics and software techniques (telecommunication, earth observation, navigation) and more recently the Space Situational Awareness (SSA). There is about 500 million inhabitants in Europe nowadays. Therefore we are facing fundamental challenges having a real influence to our future. Not talking only about social, cultural or religious transformations caused for instance by current inflow of immigrants, but also technological, industrial and ecological changes. What is more, sometimes the only appropriate solutions for the Earth are hidden far away above our heads. This is why Europeans work on a milestone projects and they do it right. In 2004 the Rosetta mission was launched and is described as a key mission of ESA’s space research program Horizon 2000. In its implementation the agency cooperates with national space agencies and NASA. The purpose of the mission is to carry out necessary research to know the origins of comets, as well as to explain the relationship between cometary and interstellar matter and their significance for the formation of the solar system. 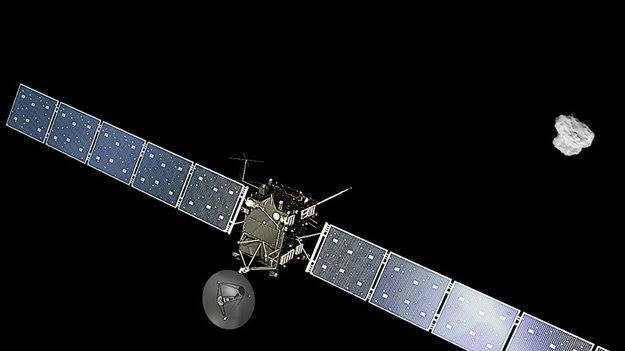 In August 2014 the space probe has arrived to its target and entered its orbit being simultaneously the first probe in history landed on the surface of the comet. Polish contribution to such crucial project is essential for the success of the mission. Constructed by the methods developed at the Warsaw University of Technology, a penetrator MUPUS carries out geological research on the comet. Another program, this time only for Europe, is Galileo – Europe’s own satellite navigation system and finally will consist of 30 satellites spread on the Earth’s orbit. The system is about to be the alternative to American GPS and Russian GLONASS but, in contrary to them, will be controlled by civil institutions. However, the navigation system is still under construction and is not going to be efficient till 2020. Satellite navigation systems are used in many areas of the economy, including the energy network monitoring, logistics, air traffic management or even live saving. It is estimated that 6-7% of the European GDP depends on satellite navigation applications. 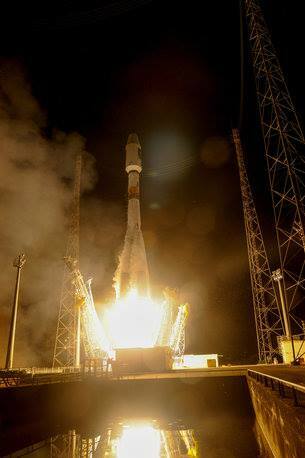 The satellite technology market itself is worth 124 billion euro. Thanks to Galileo, till 2020 this amount is expected to increase to 250 billion euro. Convention of establishment of a European Space Agency, Article II Purpose, SP-1317, 2010. Framework Agreement between the European Community and the European Space Agency, OJ L261, 2004. Kenya, Eritrea, Syria, Afghanistan, Somalia, Iraq… just to mention some of the countries from which most of the refugees currently come. They flee due to political and religious persecution, civil war and poverty. The need for help is obvious as the facts show. According to the United Nations the number of refugees has risen up to 60 million since World War II – 86% are from developing countries and more than 50% are children. 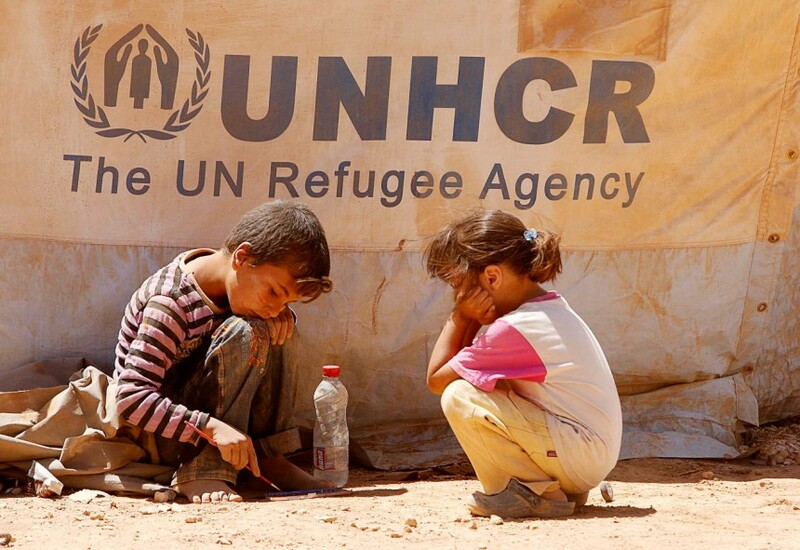 UNHCR distinguishes between refugees, applicants for asylum and internally displaced persons. In 2014, about 625.000 asylum seekers tried to come to Europe and they often do not have any other possibility than to use the questionable help of human smugglers who profit from the misery of other people. As a result, dramatic scenes took place at the external borders of the EU. The Geneva Convention on Refugees from 1951 binds the EU member states, according to article 2 and 35, on the protection of refugees. In practice, the current situation is different as some dramatic events since 2013 have shown: On the 3rd October 2013, one of the first disasters, involving migrants being smuggled to Europe, took place south of the Italian island of Lampedusa. 400 refugees from Somalia and Eritrea drowned. In April 2015, up to 800 refugees lost their lives in a ship accident in the Mediterranean Sea. Since then, the EU has tripled the remedies for sea rescue. 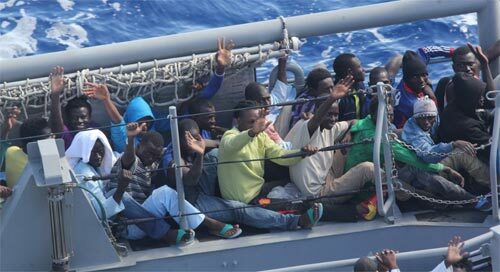 In May 2015, the EU foreign ministers resolved on a common military mission against the gangs of people smugglers, with a fund of 12 million Euros from the EU countries. On the 26th June the EU heads of state and government decided to assign the growing number of refugees to all 28 member states – on a voluntary basis. The demand for answers seems to be obvious. Nevertheless, this article cannot deal with the whole range of the migration issue. But it can focus on some questions which arise when we look at it from different perspectives. The migration question is by no means solved as the daily news, the media coverage and the pictures of suffering humans going around the world show. It seems to be an impasse which raises the question of whether it might be the problem of a dead-end policy. What remains is a large uncertainty and the feeling of fighting a losing battle. This article does also not mainly deal with the question if Europe has to help the people in danger and in need – that is beyond all discussion – of course we have to help. So, several countries assume responsibility and try to help by receiving refugees, hosting them or helping them to integrate themselves. And all of this accompanied by prejudices against foreigners, administrative barriers and integration problems due to cultural diversity. In each instance, all those who are helping – a lot of who are volunteers – do humanitarian work and it is indispensable. But it is also quite evident that somehow it is just treating symptoms like bridging the time until most of them get deported again. Thus a lot of voluntary commitment and funding is needed. But it is not only a question of money, medical care, accommodation or dealing with cultural diversity. It is, above all, the question of how to accompany the short-term help with a long-term help. Against this background, focussing on some questions might be justified. Shifting the attention to the countries from which the refugees come, means to empathize with them. Migration movements from Syria, for example, might be different motivated than those from Serbia or Kosovo. Let´s take, as another example, the continent Africa. It seems to be reasonable to pose the question how Europe treated those African countries. 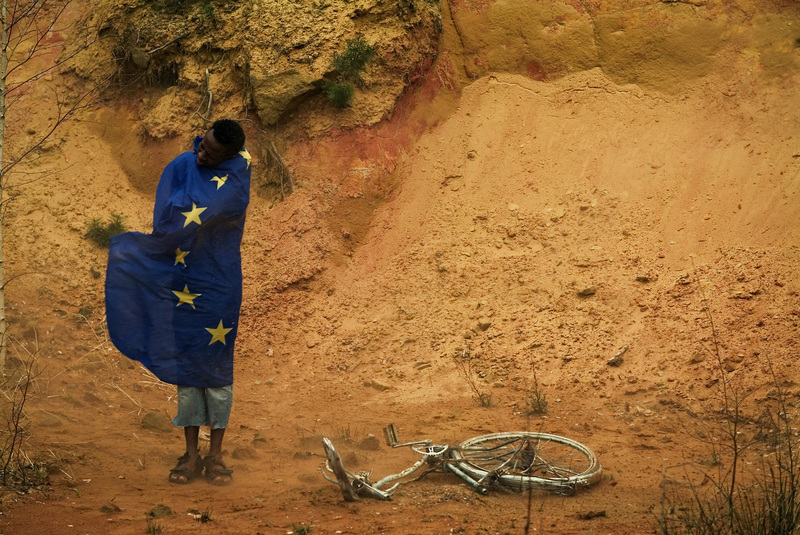 After a long colonial history, European states started a program of development aid to support those countries. “Money” seemed to be the keyword, but let´s risk to ask how long that kind of support continued and how effective it was. In consideration of the status quo of the African countries, the question arises who the money received and in what way the states have used it. Did it change the situation for those countries? Obviously not, as the growing number of emigrants from even stable African countries shows. Financial help is reasonable as long as the supported country has the preconditions to use it in the right way. What kind of preconditions are we talking about? Are they states with a democratic system? How do they deal with corruption? Is there a knowledge of the importance of education and self-responsibility? Furthermore, does their way of understanding politics comply with our European policy? Taking a look at some Arab countries raises the question: Are the political and cultural systems of countries like Libya, Syria or Iraq compatible with the Western way of political and cultural thinking and could it, at all, be possible to solve their conflicts and problems with our European understanding of governance? Another example: The Kosovo War from 1998/1999, subsequently claimed thousands of victims. What has changed after the NATO military intervention? There is still discrimination of minorities, a shortage of jobs and poverty in consequence and a high incidence of crime. There was no stable polity until 2014, but even then, a lot of Kosovars claimed asylum especially in Germany and some other European countries. It seems to be a long shot to write a master plan to find a solution which meets the responsibility we all have, to give a hand to people who ask for help as well as to support the development of their countries. Therefore we have to ask: What does it make worth, for those refugees who flee from economic grievances, to come to Europe? Which kind of incentives do we offer? If we provide a welfare system which is more attractive than the system in their home country, how do we help those states to develop? Misinterpreted development aid: A Western failure? The pros and cons, the discussions concerning the question if and how each European country can take part in helping people knocking on Europe´s door are numerous and more or less helpful. But looking at it from another perspective extends the short-term help a little bit more towards a long-term help. Terminating all the wars on one day might be a dream; alleviate the world hunger, guarantee religious freedom and physical integrity for everyone probably as well, but the dream ends before it starts when the countries in need are empty. On the “Meeting of Pan-African Catholic Youth and Children” in Kinshasa last month, Bishop Nicolas Djomo Lola said in his opening speech: “Use your talents and other resources to renew and transform our continent and for the promotion of lasting justice, peace, and reconciliation in Africa. […] You are a treasure for Africa.”  This quote expresses what we, from our European point of view, maybe sometimes fail to see: In what way do we help the countries if we integrate each immigrant into our social security system? If we integrate one qualified man or woman successful into a European country, it means conversely that one qualified man or woman is missing in his or her home country. As a result, we deprive these countries the main source of life and thus the possibility to prosper. Without a doubt: Each one is ethically and humanly obligated to give a helping hand to those who are persecuted, hungry or in danger – even more a community of states, based on a Christian fundament. That is certainly the main issue. But then it might be worth to pay attention to a long-term help which recognizes the differences between individual political systems and cultural backgrounds. And, to the same extent, raising awareness of their own responsibility towards their home countries. Then this dream of a better world where there is no need to flee because of war, persecution or hunger could come true – even though not in one day.